President Donald Trump praised law enforcement during a speech at the annual convention for the International Association of Chiefs of Police in Orlando, Fla. on Monday. "They see the worst of humanity. And they respond with the best of the American spirit," Trump said in front of about 3,000 people at the Orange County Convention Center, according to Florida Today. America's police officers have earned the everlasting gratitude of our nation. In moments of danger and despair, you are the reason we never lose hope." During the speech, Trump announced that $42.4 million dollars in grants will be doled out to the the White House Office of National Drug Control Policy's High Intensity Drug Trafficking Areas program. "This grant program will go to funding more than 50 innovative projects targeting the greatest drug threats facing the United States," Trump said, according to CNN. 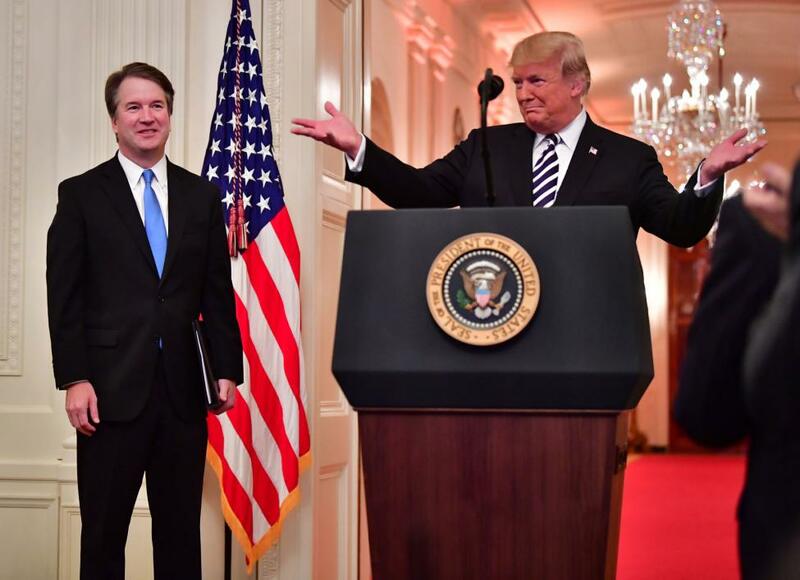 The president also took the opportunity to praise recently appointed Supreme Court Justice Brett Kavanaugh, who would be ceremoniously sworn in later in the day, and criticize Democrats who sought to derail his nomination with accusations of sexual assault. Trump added: "[In] our country, a man or a woman must always be presumed innocent unless and until proven guilty. And with that, I must state that you, sir, under historic scrutiny, were proven innocent."